Being at the forefront of industry trends and developments, we are a catalyst for success, making it possible for clients to focus on their core business, by developing property and logistics solutions which set them apart. 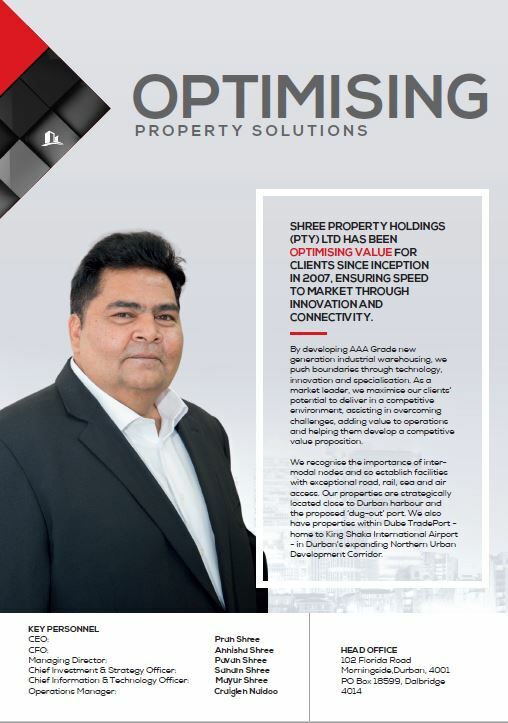 Shree Property Holdings unlocks value for clients, equipping them with infrastructure to achieve speed, connectivity and business innovation. 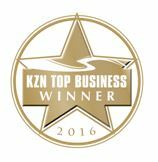 We create environments conducive to business optimisation, global competitiveness, employment stimulation and economic growth. From consultation to structure, we resolve clients' warehousing and property positioning dilemmas... professionally building, customising, leasing, managing and maintaining property to world-class standards. Shree Property Holdings... A Snapshot Warehousing Solutions - Our property portfolio of more than 650 000m2 is largely located in Greater Durban. Facilities range from 1 000m2 to more than 70 000m2, inclusive of quality offices. These facilities - developed, leased and managed by ourselves - are home to 'blue-chip' companies, automotive manufacturers, technology giants, logistics providers and food and beverage specialists. Our construction division, Shree Property Project Specialists, works to deliver state-of-the-art warehousing, finished to the highest specification in exceptionally quick time. Cold Storage - We have the largest self-owned cold storage facilities in Southern Africa, providing for up to 40 000 or 60 000 stack positions, productdependent, at temperatures between 0°C to 18°C. Iconic Developments - Our Pran Park and Pran Boulevard projects deliver quality property developments, with benefits. Pran Park, with prime industrial space for manufacturers, logistics and cargo storage enterprises in Dube TradePort, offers lucrative Special Economic Zone (Industrial Development Zone) benefits, while another Pran Park, in Mon Trésor, Mauritius, is in a Free Port Zone. Mauritius is a strategic node from which African business flows. Pran Boulevard sees our expansion into commercial and residential markets. We create AAA-grade office space and retail facilities, attracting blue-chip clients in their respective markets. Shree Property Management Services - This is our management and leasing arm, providing clients with a one-on-one property maintenance and business need service, ensuring best-fit positioning and the optimisation of available benefits. Shree Property Holdings Africa - We have internationalised our operations, focusing on promoting investment opportunities in Durban, whilst expanding our operations outside South Africa, with Mauritius as our point of entry to the international arena.